There are often discounts readily available to senior citizens and small children for independent swim. 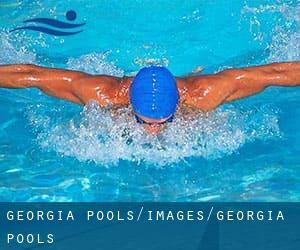 Discover by contacting your nearest pool among these Georgia Pools. Please use the contact info provided at every pool profile to check if they're offering aquagym lessons, for the reason that is not so normal to determine an Aquagym in Georgia. Most of the Georgia Pools offer you both open lanes for independent swimming and also guided activities like water aerobics or Aquabike. The best choice in the course of your visit to Georgia will be droping by a Georgia Pool. We almost certainly do not know all the Pools in Georgia. Are you missing any? Contact us!. 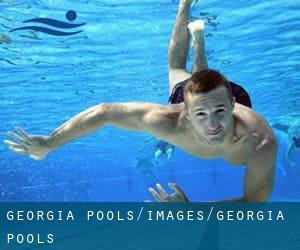 For Georgia and its vicinity, we're showing you all the registered pools, a few of them have no GPS coordinates and can't be found on the map at the map. There are quite a few alternative treatments to chlorination, with fantastic advantages that ensure better water high quality in the pool. 1 possibility is the mineralizer, which purifies water naturally and significantly decreases the chemicals used and maintenance time. Try Chlorine Free of charge pools in Georgia. If you're tired of having eyes and irritated skin, obtaining a saltwater pool in Georgia could be the answer. You should understand that the level of salt from these pools is well beneath the level of salt from sea water, specifically they are talking about a tenth or less. There are quite a few reasons why you might want to choose a heated swimming pool in Georgia. The most important one relies on the significance of keeping the body temperature stable. If the water is as well cold, your body will try to warm it up and you will shed strength to swim correctly. One of the advantages of outdoor swimming in Georgia will be the possibility to sunbathe during the summer season. Taking it with extra care, sunbathing is healthy given that introduces Vitamin D into the body, so the ideal option seems to be switching amongst indoor and outdoor pools depending on the season. Without a shadow of a doubt, swimming in Columbus is the ideal approach to unwind following work. Take a couple of minutes to browse Swimia's catalog to find a Swimming Pool in Columbus. Holding an estimated population of 420.003, Atlanta is one of the most important cities in Georgia. Check all of the Pool in Atlanta and its surrounding area. It's hard to visit Georgia without dropping by Sandy Springs (with 93.853 residents). Currently Swimia is showing you all the Swimming Pool in Sandy Springs and also the closest pools located in its vicinity. Let us let you know a secret to switch off while you are in Athens: just choose a Swimming Pool in Athens and plunge into the water! There's no more effective strategy. Swimming is a terrific thought to keep your body active in the course of your visit to Macon (Georgia), or even if you are a local. Swimia helps you to find your closest Swimming Pool in Macon. Updated on 2019 Peachtree and 10th St. , Midtown , Atlanta , GA , USA (Postal Code: 30309). Among all of the activities offered by the center, if you are interested in swimming you will enjoy 18 yards, Indoors. Just in case you want to contact this Swimming Pool before dropping by, we only know the phone number. Updated on 2019 371 Riverview Dr. , Jekyll Island , GA , USA (Postal Code: 31527). This sports center offers 20 yards, 4 lanes, Outdoors. For this Pool, only phone number is number here. Updated on 2019 5595 E. Hedgebrooke Drive , Brookstone I Subdivision , Acworth , GA , USA (Postal Code: 30101). Among all of the activities provided by the center, if you are interested in swimming you may take pleasure in 25 meters x 35 yards, 6 lanes, Indoor/Outdoor. Just in case you would like to make contact with this Swimming Pool before dropping by, we only know the phone number. Updated on 2019 3045 Clubhouse Drive , EagleWatch Subdivision , Woodstock , GA , USA (Postal Code: 30189). This sports center gives 25 meters x 35 yards, 6 lanes, Indoor/Outdoor. For this Swimming Pool, only phone number is number here. Updated on 2019 3201 Martin Luther King Jr. Dr., SW , Southwest , Atlanta , GA , USA (Postal Code: 30311). Among all the activities provided by the center, if you are thinking about swimming you can enjoy Olympic size x 25 yards, 8 lanes, Indoors. Just in case you desire to contact this Swimming Pool before dropping by, we only know the phone number. Updated on 2019 Mill Creek Regional Park , Statesboro , GA , USA (Postal Code: 30458). This sports center offers 25 yards, Indoor/Outdoor. For this Pool, only phone number is number here. Updated on 2019 3434 Peachtree Rd. N.E. , Buckhead , Atlanta , GA , USA (Postal Code: 30326). Among all the activities offered by the center, should you be considering swimming you'll enjoy 20 yards x 30 feet, Indoors. Just in case you want to contact this Pool prior to dropping by, we only know the phone number. Updated on 2019 SAAC , Clairmount Campus , 1946 Starvine Way , Decatur , GA (Postal Code: 30033). Among all of the activities offered by the center, should you be thinking about swimming you may enjoy Olympic size x 25 yards, Indoors, Outdoors. Updated on 2019 365 Cleveland Ave., S.E. , Atlanta , GA , USA (Postal Code: 30344). Swimmers like you have reported 25 yards, 8 lanes, Indoors. Also, you will find 20 yards, 2 lanes, Indoors. Just in case you want to contact this Swimming Pool just before dropping by, we only know the phone number.